As he entered a low-planetary orbit, Gaelen glanced at his chrono. He was 2.3456 seconds out of sync. Still in nominal operating range but he preferred not to be more than 1.5 seconds out of sync. 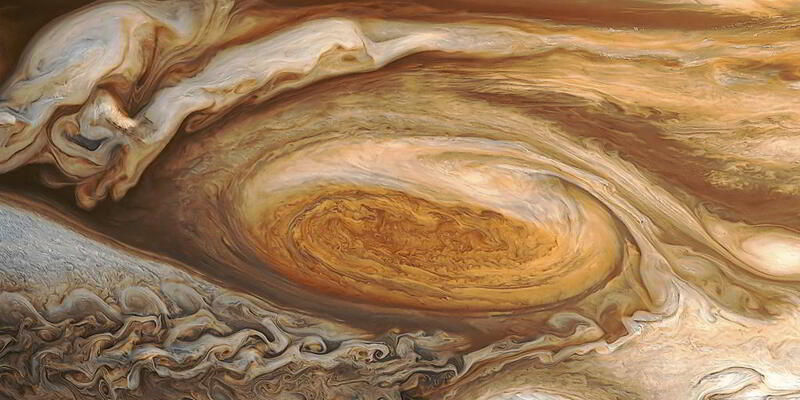 As he made the necessary adjustments, Gaelen risked a quick glance at Jupiter’s surface one last time. Soon, he’d be on the dark side of the planet where he’d rendezvous and link up with the orbital platform. At that point, the guidance computer would take over all docking procedures. Gaelen’s arrival at Meridian station would make it the largest man-made object in space. At 7 kilometers long and 3 kilometers wide, Meridian Orbital Platform didn’t need to remain sun-side in order to maintain power. The 4 fusion reactors could power the station for 10,000 years so it stayed in a synced orbit behind the planet relative to Sol and Earth. This meant receiving communications with Houston were handled through a series of repeaters and took slightly longer than the normal 43 minutes. In addition to Houston being unable to help with docking procedures, there was a restriction on communications with the platform. Only radios that had been encrypted on the station were permitted to broadcast and receive. This meant a computer had to handle all docking procedures. Before his computer could receive instructions, Gaelen had to align his capsule with a tight laser beam sending all the docking instructions. Gaelen was right on point. His navicomp went all green and started the docking procedure. He could feel the vibration of the thrusters in his seat and watched as the lights from the platform spun into view. In five minutes he’d be cycling the airlock and stepping into the station. As he approached the station, he noticed there were no lights coming from the habitat module. Gaelen checked his chrono again. It indicated 9:47 a.m. GMT. Somebody should be awake. They were supposed to maintain Earth-time in order to prevent everyone’s circadian rhythms from getting out of sync. Dismissing the thought, Gaelen noticed the final stage of the docking procedure has already started. Time to capture on the navicomp was 28 seconds. It felt like an eternity. Eventually, the sound of the docking clamps reverberated through the capsule and his navicomp displayed SECURED in green. Gaelen went through the shutdown procedure and unstrapped from his chair. Gathering his belonging (they were all in a single bag) Gaelen pulled himself toward the airlock. The LED panel indicated it had a seal and he pressed the red OPEN button. The hiss of the two compartments equalizing was music to his ears. Pulling himself in, Gaelen enabled his magnetic boots and was now officially standing on Meridian Orbital Platform. LED lights automatically turned on as the door to his capsule closed. Gaelen nearly wet himself when the lights revealed the interior of the airlock. On the opposite wall, bloody handprints covered the bulkhead near the airlock controls. As the station’s door opened, Gaelen was beginning to reconsider accepting this assignment.